One of London’s greenest boroughs, Croydon is located in south London and it is the second largest London borough by population. 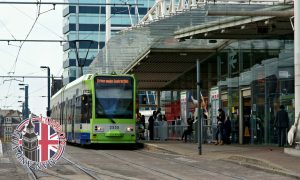 Croydon is a vibrant borough with a great number of institutions, as well as arts and entertainment centres that make it one of the hearts of culture in London. 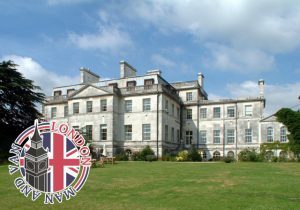 Ranging from modern towers in the centre to historic sites in the north and south, there are a lot of places of interest and popular tourist attractions all across the borough of Croydon, including the Croydon Palace, the Croydon Clocktower, Addington Palace, etc. Named after the Wandle River, Wandle Park is one of the oldest in Croydon. With its picnic lawns, cafes, skate park and games area, the park has become a favourite place for tourists, runners, dog walkers and skateboarders. 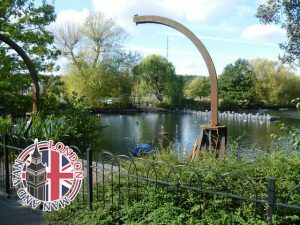 If you are looking for a more peaceful environment, South Norwood Lake is a perfect choice for you. With numerous courts and fields, including basketball, tennis, football, cricket and other, you can choose from a number of activities after your own heart. In case you are planning to move near this lovely area, hire a trusted man and van in Upper Norwood SE19. From Performing Arts Festival, the Coulsdon and Purley Festival and Croydon Heritage Festival to Croydonites Festival of New Theatre, the borough of Croydon is famous for hosting a variety of festivals that are entertaining, educational and artistic. If you happen to be in Croydon in June and you want to learn more about the town’s rich history and participate in workshops, tours, performances and exhibitions, then make sure you don’t miss the Croydon Heritage Festival, where you can visit some of Croydon’s most important buildings opened up to the public during this week-long event. If you are looking for a summer full of live comedy in Croydon, the Croydon Comedy Festival enriched with new and established performers might be a perfect festival for you. Everyone can choose something for themselves and have a great time in this festive borough, whether they are local, tourist or a future resident. If you are a future resident, make sure you hire prompt man and van services in Waddon CR0 that will help you move stress-free. Croydon is one of the UK’s top business hubs for digital, creative and tech businesses. This leading business hub for tech companies has to offer affordable office spaces, as well as co-working spaces for a variety of start-ups and tech companies. QuidCycle and Famberry are just some of the most successful tech companies that are happy to develop their businesses and pay low rents in Croydon. Moving to Croydon to start any tech business or join Croydon Tech City has never been easier thanks to many experienced movers, such as a loyal man and van in Thornton Heath CR7, for example. Croydon Tech City is a group of entrepreneurs, software developers and venture capitalists aimed to nurture start-ups, but alsoto make sure that residents and businesses in Croydon can take part in the opportunity as well. According to research, Croydon has become one the most “in demand” areas in the UK. But why more and more people are looking to live in Croydon? Well, first of all, you will get value for money. The prices are reasonable, with average house prices below £500,000. In addition to this, there is a wide selection of housing, including Victorian and 1930s houses, modern apartment blocks, South Croydon’s family houses, etc. Whether you are renting or buying, Croydon has a right solution for you. Just make sure to hire a trustworthy man and van in Woodside CR0 when moving to the borough of Croydon, which is also well-connected. The borough has fast rail links to Victoria and London Bridge terminals, as well as developed national and local tram and bus networks.The closest international airport to Croydon is London Gatwick Airport, opened in August 1930.